The 4th floor houses the Charles and Rita Politis Collection, donated to the Museum since 1989. This exhibition contains marble statuary, terracottas, jewellery, and an important collection of ancient bronze helmets. 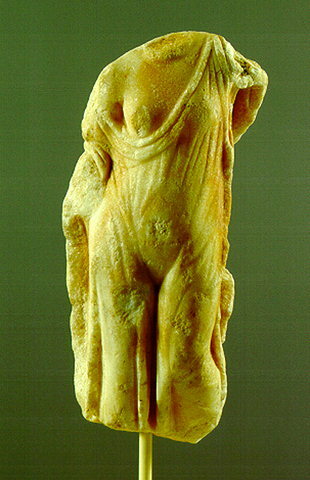 In the picture: Marble statuette of Aphrodite. 2nd-1st century B.C.